It takes just 15 minutes to prep this perfect-for-entertaining chocolate cake with rich, made-from-scratch flavour - with a hint of orange! Only one bowl is needed to make this cake. 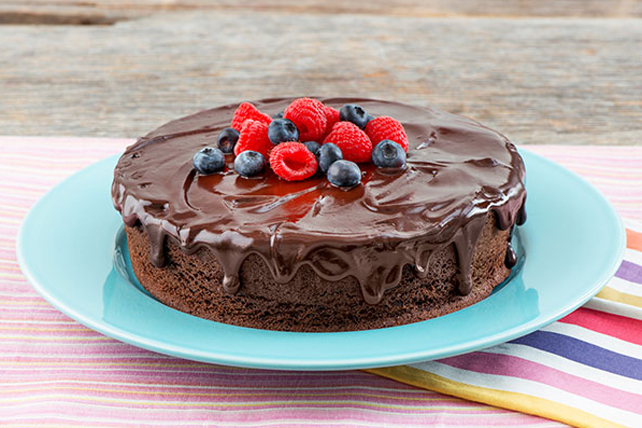 Not only does the easy-to-make chocolate glaze add an elegant touch, but the fresh fruit topping adds both irresistible colour and flavour.